Accounting is the measurement, processing, and communication of financial information about economic entities. such as businesses and corporations. The Italian mathematician Luca Pacioli established the modern field in 1494. 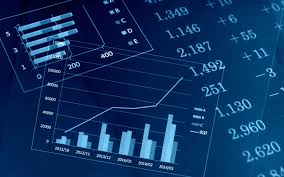 Accounting, which has been called the “language of business”, measures the results of an organization’s economic activities and conveys this information to a variety of users, including investors, creditors, management, and regulators. Practitioners of accounting are known as accountants. The terms “accounting” and “financial reporting” are often used as synonyms. Accounting can be divided into several fields including financial accounting, management accounting, external auditing, tax accounting, and cost accounting. Accounting information systems are designed to support accounting functions and related activities. Financial accounting focuses on the reporting of an organization’s financial information, including the preparation of financial statements, to external users of the information, such as investors, regulators, and suppliers and management accounting focuses on the measurement, analysis, and reporting of information for internal use by management. The recording of financial transactions, so that summaries of the financials may be presented in financial reports, is known as bookkeeping, of which double-entry bookkeeping is the most common system. Accounting has several subfields or subject areas, including financial accounting, management accounting, auditing, taxation, and accounting information systems. Management accounting focuses on the measurement, analysis, and reporting of information that can help managers in making decisions to fulfill the goals of an organization. In management accounting, internal measures and reports are based on cost-benefit analysis and are not required to follow the generally accepted accounting principle (GAAP). In 2014 CIMA created the Global Management Accounting Principles (GMAPs). The result of research from across 20 countries on five continents, the principles aim to guide best practice in the discipline.